Above, Peggy, Patty, and Josephine Taylor left Spokane in three cars following the death of their brother in the Solomon Islands. The Taylor Family was on a mission to contribute to the war effort. Photo courtesy of the Harrington Family Archives. In 1942, Westinghouse hired J. Howard Miller to create a series of images to increase employee morale in their factories in the midwest. Miller drew up one poster based on an image of 17-year-old Geraldine Hoff, an Ann Arbor factory worker who had been photographed by UPI. Employees at Westinghouse factories were treated to the “We Can Do It!” poster for a few weeks in 1943, and then it was largely forgotten for decades. That same year, Norman Rockwell’s brawny “Rosie the Riveter” graced the cover the Saturday Evening Post. Drawn eating a sandwich with her massive rivet gun across her lap, Rockwell’s Rosie was fashioned after 19-year-old model Mary Doyle, who wasn’t a riveter. She was a telephone operator in New England. The nickname began to catch on earlier in 1943 when recordings of Evans and Loeb’s 1942 song “Rosie the Riveter” began to hit the radio airwaves. Their inspiration was Rose Bonavita, an assembly-line worker in San Diego. 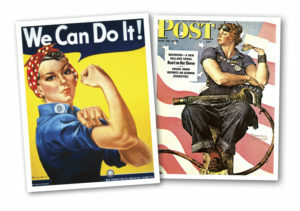 Find “Rosie the Riveter” posters, phone cases, and more, at great prices online at Walmart.com. 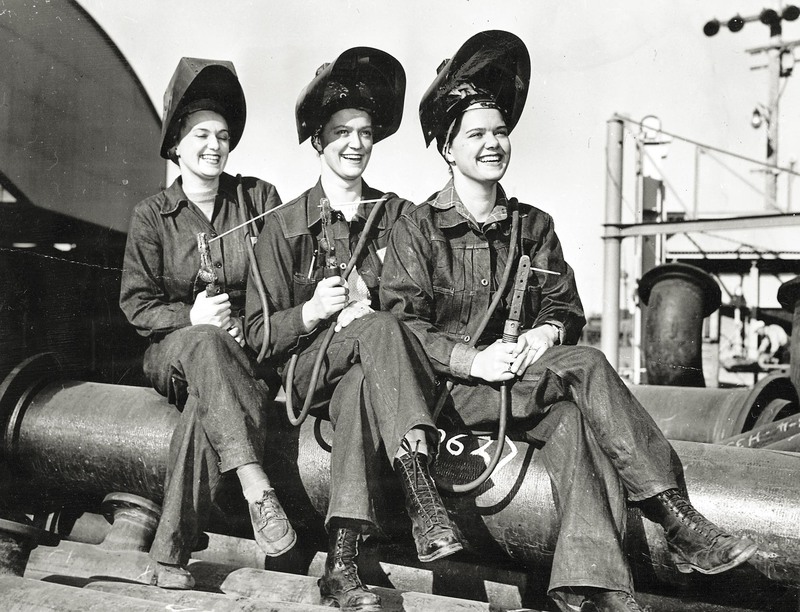 Before any of these Rosies entered the minds of the Taylor sisters of Spokane, WA, they were working as real life “Rosie the Riveters” at the Kaiser shipyards in Marin County, California. Tasked with welding the mass-produced Liberty cargo ships that would become the symbol of U.S. wartime industrialism, Peggy, Patty, and Josephine Taylor joined millions of American women in factories across the country. Peggy, Patty, and Josephine Taylor did not move to California alone, however. 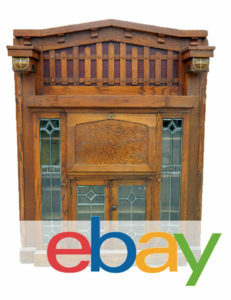 The Taylor family lived at the end of 8th Avenue in Spokane’s East Central Neighborhood in the early 1940s, and as Catholic families go, they had more than a handful of children. There were thirteen in all, although, at the beginning of World War II, only three of the Taylor sons were eligible for the draft: Jack, Bobby, and Harold. Instead, they enlisted. Jack and Harold joined the Navy. Bobby volunteered for the Army. Above, the USS Preston, sunk by the Japanese November 15, 1942 in the Solomon Islands. 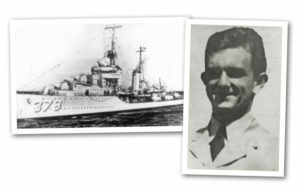 At right, Franklyn Seymour “Jack” Taylor, Jr, US Navy, killed in action on November 12, 1942 aboard the USS Preston. Photos courtesy of the Harrington Family Archives. The industrialist Henry Kaiser, whose aluminum plant in Spokane began an era of increased economic prosperity in the region in 1946, had four shipyards in Marin County during World War II. Commissioned to build Liberty ships following the attack on Pearl Harbor, Kaiser’s shipyards regularly produced significantly more ships at lower costs than any other commissioned shipbuilding operation in the country. Maybe Peggy Taylor took inspiration from Rockwell’s Rosie, who didn’t wear boots either; she wore loafers. 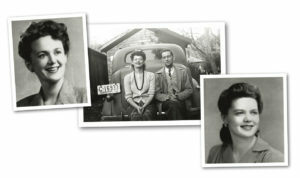 Patty Taylor sits with her dad, Franklyn Taylor, Sr, on the bumper of the family car in Spokane and photos of Peggy (left) and Josephine (right) out of their welding uniforms. Photos courtesy of the Harrington Family Archives. At the peak of World War II factory production, women outnumbered men in factory jobs by a ratio of nearly two to one. Much has been written about the significance of their work for the cause of gender equality today. But in 1942, following the loss of their beloved son and brother, the Taylor family didn’t have any particular cultural agenda. They weren’t driven by the Rosie the Riveter icons – they could just as easily have been the inspiration for the posters and song, having been among those who joined the war effort early on. Like so many from that generation, the Greatest Generation, they found duty and desire tied together in common work. That’s why they were the Greatest.